Floor Braam (The Netherlands) has established herself as a versatile violinist, whose willingness to explore has led to various collaborations at home and abroad. Floor has initiated her own annual concert series at the Worldmuseum and concerthall the Doelen in Rotterdam, where she invited and performed with musicians such as Maxim Vengerov and Wibi Soerjadi. In 2017 Floor got selected by the Lincoln Center of Performing Arts in New York to perform on their brand new Lincoln Center Stage, an onboard classical music venue in partnership with Holland America Line. 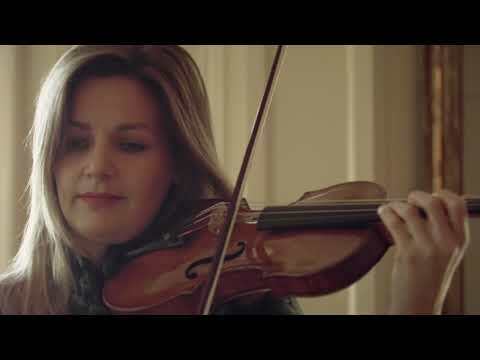 In 2015, she made her solo-debut with the Zakhar Bron Chamber Orchestra at the Concertgebouw in Amsterdam. Floor started her violin education with Annechien van Blom at the Prince Claus Conservatory in Groningen. She studied with Yossi Zivoni and Ani Schnarch at the Royal College of Music in London and graduated with the highest distinction under the tutelage of Misha Furman at the Codarts Conservatory Rotterdam. She took masterclasses and participated in festivals in Germany, Israel, Switzerland and the United States. Floor plays on a Nicolo Gagliano violin (Napoli, 1750).